"I see murder in this unhappy hand..." When Mrs. Robinson, palmist to the Prince of Wales, reads Oscar Wilde's hand she cannot know what she has predicted. Nor can Oscar know what he has set in motion when, that same evening, he proposes a game of "Murder" in which each of his Sunday Supper Club guests must write down those whom they would like to kill. 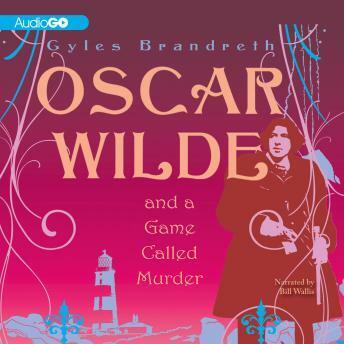 For the fourteen "victims" begin to die mysteriously, one by one, and in the order in which their names were drawn from the bag...With growing horror Wilde and his confidants, Robert Sherard and Arthur Conan Doyle, realize that one of their guests that evening must be the murderer. In a race against time, Wilde will need all his powers of deduction and knowledge of human behavior before he himself--the thirteenth name on the list--becomes the killer's next victim.